A root canal is a very common treatment carried out at practices like Vitality. A certain kind of negative mystique clings to the procedure, however, with people whispering scare stories behind their hands. We’re here today to demystify this important dental procedure, and to show you how empowering it can be to control your own dental health. A root canal is part of the stable of endodontic treatment, or dental treatments which require the dentist to operate within the tooth. It’s the last-line treatment to help save a tooth which has become irreparably decayed or which shows signs of infection, one of the prime reasons people visit the dentist. Root canal is actually the correct term for the hollow centre of your tooth, within which there lies the soft pulp and nerve of the tooth. The nerve itself is surprisingly expendable- it serves to warn you that your tooth is hot or cold, or to alert you to cavities and pain in the tooth, but serves no real day-to-day purpose. Why are root canals important? A root canal procedure is indicated when the soft centre of the tooth becomes damaged or rotten. At this stage, it is critical that the tooth is treated, or the infection runs the risk of spreading into surrounding tissues and even the jaw, at which point the infection could even be life-threatening. When this pulp breaks down, it becomes food for bacteria, allowing them to multiply far away from your toothbrush, causing infection or pus-filled pockets called abscesses. This infection can then spread down the roots into the jaw. From here it can cause bone loss within the jaw in the area of the roots, swelling that is visible around the neck and face, pus leaking through into the gums or cheek, and many other painful and risky issues. This pulp damage is typically a result of deep decay in the tooth, although it can occasionally be a result of cracks and chips, facial trauma or failed repeat dental procedures on a tooth. What are the root canal treatment steps? Once your regular dentist has identified that you are a candidate for this endodontic treatment, you will probably need several further visits to resolve the issues, unless it is a dental emergency. These may be with your regular dentist, or with a specialised endodontist, depending on your unique circumstances. Firstly, an X-Ray will be taken to allow your medical practitioner to see the exact shape of your root canals and check for infection in the bone. The nerve is often dead already, but you will often receive an added anaesthetic for your comfort. A dry working environment is needed, so next your dentist will place a ‘dental dam’, or sheet, around the tooth to ward off saliva. They will then drill a small hole into the infected tooth, and clean out the decayed nerve tissue and debris using root canal files made especially for this purpose. A water or sodium hypochlorite solution will be used to rinse away debris during this procedure. The last step is to seal the tooth to prevent future invasion. Your dentist may opt to put off the sealing for a week, especially if you have an active infection in need of healing. In this case, you will receive a temporary filling to ward off contamination, and go back later to complete the procedure with a permanent solution. The interior of the tooth will be filled, to prevent future infection and to provide structural support. A special sealing paste is mixed with a rubber compound called ‘gutta percha’. The external parts of the tooth are sealed with a standard filling. You will usually then need other restorative procedures like a crown or crown to fully correct the tooth back to working capacity, but your dentist will discuss this with you. What will I feel like after my root canal? As part of the healing process, you may feel some swelling or sensitivity in the region of the affected tooth, especially if the tooth was infected before the procedure is done. This can usually be kept under control with over-the-counter medications for pain like ibuprofen or naproxen. You should be able to resume all normal activities the very next day. However, if you have not yet had the crown placed on the tooth, it’s wise to treat it carefully and avoid chewing fully on it until the procedure is complete. This avoids possible contamination, as well as preserves the fragile tooth until it is fully strengthened. What about root canal complications? Root canals are typically very successful, and many root canal procedures will last for a lifetime. The restorative work done after the procedure ensures that the tooth is not obvious, too, ensuring you can still smile with confidence. However, depending on how complex the infection in the tooth was, there is a slight risk of a new infection emerging. This is exacerbated by abnormal tooth structure such as multiple or unexpected roots, undetected root damage and cracks, inadequate dental restoration and sealing that allows recontamination, or a breakdown of the sealing material over time. Most of these can be avoided by choosing a quality dental practice for the procedure. Should reinfection occur, your dental practitioner will advise whether retreatment is appropriate, or if other procedures should be tried. Is there an alternative to root canals? It is always preferable, as a dental practitioner, to save the patient’s own teeth, which is why a root canal is often the procedure of choice. The only alternatives are extraction and removal, with an implant, bridge or partial denture replacing the tooth. These often work out more expensive, and more time consuming, then a simple root canal. Far from something to fear, the root canal is a simple yet critical part of the dentists’ armoury in keeping your smile healthy and your teeth happy. Should you have any further questions about the procedure, the Vitality team are happy to help. 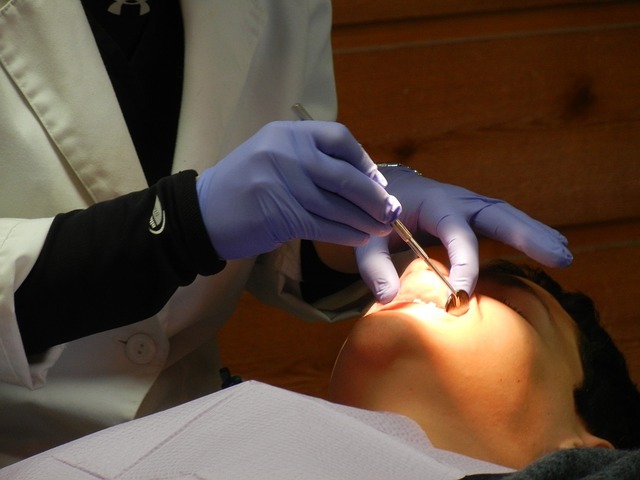 ← What are the benefits of visiting a dental hygienist?